The performing arts at Hardin County High School represent some of the top artistic talent and expression Hardin County as a whole has. We often begin our semesters by reminding our students the value of Fine Arts, both in the classroom and out, and set the stage for talented performers to move their education from a classroom into a hobby and possible career. 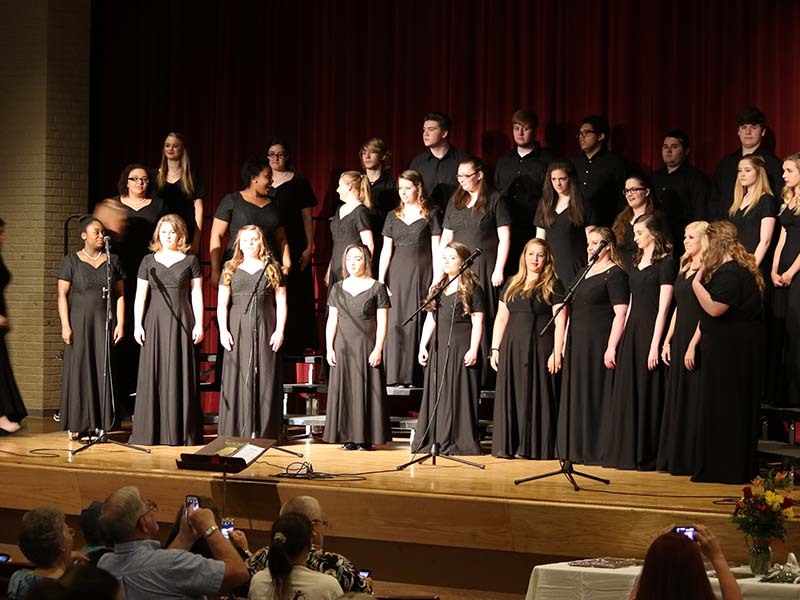 We pride ourselves on representing a wide variety of Fine Arts within Performing Arts specifically, and offer various genres, motifs, and challenges that students will excel at with progress and effort.